The SY postcode area, also known as the Shrewsbury postcode area, is a group of postcode districts primarily around Shrewsbury, but also covering Aberystwyth, Bishop's Castle, Borth, Bow Street, Bucknell, Caersws, Church Stretton, Craven Arms, Ellesmere, Llanbrynmair, Llandinam, Llanfechain, Llanfyllin, Llanidloes, Llanon, Llanrhystud, Llansanffraid, Llanymynech, Ludlow, Lydbury North, Machynlleth, Malpas, Meifod, Montgomery, Newtown, Oswestry, Talybont, Tregaron, Welshpool, Whitchurch and Ystrad Meurig. Despite being centred on the large English town of Shrewsbury, more than half of the postcode area is in Wales. The SY postcode area covers a geographically large area, stretching from the western West Midlands to the Cambrian coast. 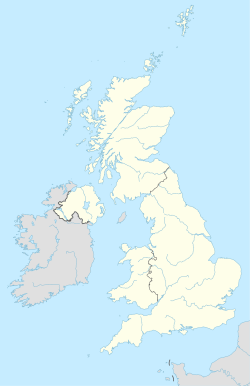 In England it covers a large part of Shropshire and small parts of Cheshire and Herefordshire, and in Wales it covers large parts of Ceredigion and Powys. SY postcode area map, showing postcode districts in red and post towns in grey text, with links to nearby CH, CW, DY, HR, LD, LL, SA, TF, WR and WV postcode areas.